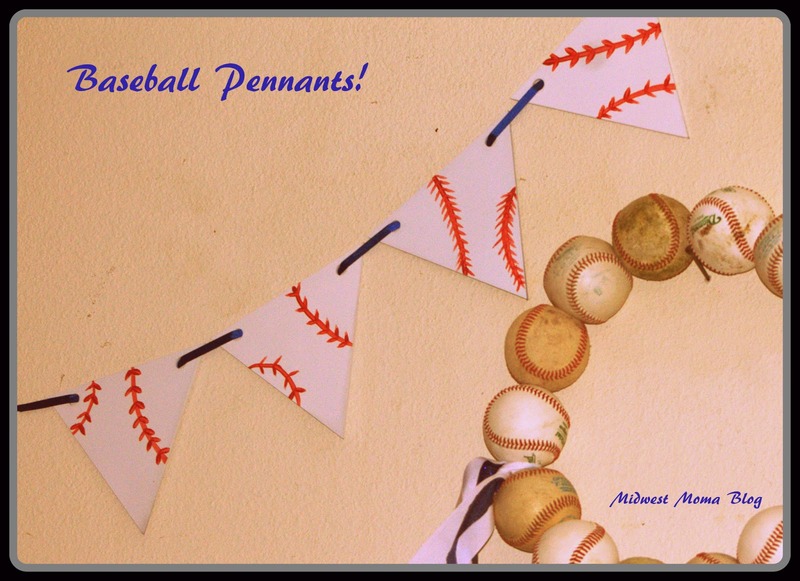 Midwest Moma Blog: Baseball Themed Pennants! Do you remember the Pick Your Plum deal with the cake and cupcake stands?? There were pennants involved with that deal also. They came four in a set, unfinished wood, and I spent weeks trying to figure out what I was going to do with them. I decided on baseballs! I am currently obsessed with baseball season. It might have something to do with the fact that my boys are currently play....but whatev! I did each of the 4 pennants a different way....and I am loving them! If you ordered some too, I'd love to know what you did or are doing with yours!